The Offimat booth system is an extremely simple was of providing a lot of desking at a very reasonable price. You may have seen furniture like this previously in libraries or educational premises. 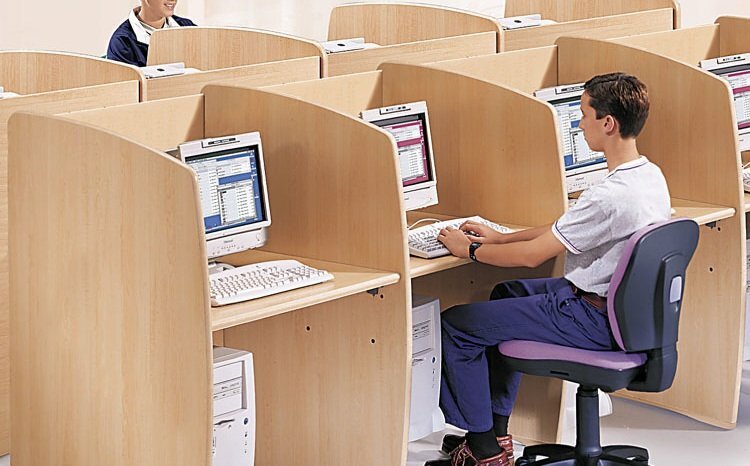 The reason they are good for call centres is that unlike a conventional desk they have dividers which are built in. These units are made to order on the continent and delivered from order in around 4 weeks.